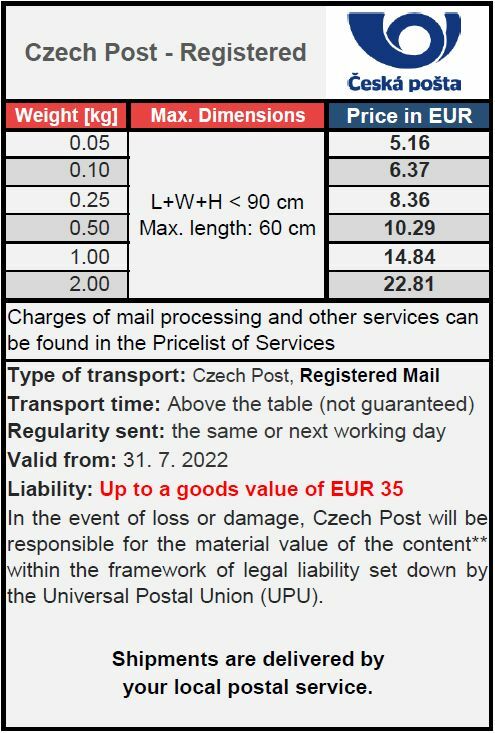 Czech Post - Ordinary & Registered Mail: for small and less valuable things up to 1 kg at very low postage from Germany to Switzerland. The commercial invoice should be on the outside of the package. 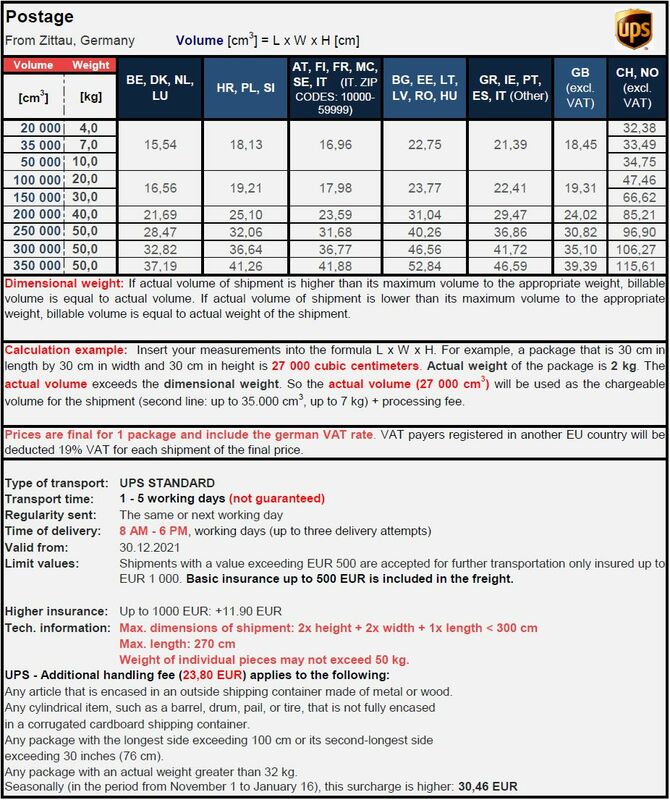 If the seller the invoice has not attached on the outside of the package, we can remove it from the shipment or send it to us at support@mailboxde.com (Subject: PRINT # Shipment Number). Alternatively, you can send other supporting documents (e.g. a purchase contract) for customs via e-mail. This service is charged for the amount of 1.50 EUR. 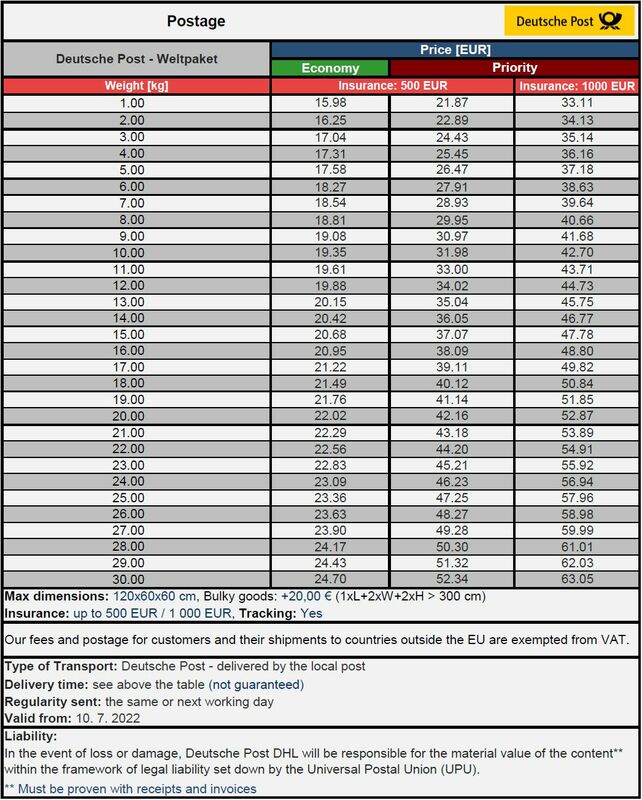 Our Forwarding Order and Customs Declaration is attached to countries outside the EU free. Usual transit time: 2 business days (priority), 4 business days (economy).